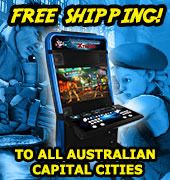 A new shipment of Virtua Striker 3 kits is arriving into Australia this coming week. There is limited stock available @$1,995usd. Sega's latest shooting game, Maze of Kings, is being released in kit form with delivery scheduled for the end of May. Advanced shipment of Virtua Athletics Software is now in stock. Using Sega's GD Rom system, this upgrade kit comes with header, player instructions and software. Visit the Melbourne Casino to see the latest games from Sega (Virtua Athletics) and Brezzasoft (Evolution Soccer). 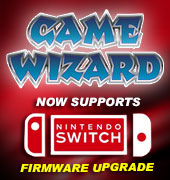 We just received a wide range of Naomi I software kits to upgrade your GD Rom system. All are brand new, factory original with stickers and headers. Games include Virtua Tennis, Virtua Golf, WWF Royal Rumble (Rom board type) and Sports Jam. Sega's latest GD Rom game will be available at the end of January. Kits will be available as full kit, GD Rom kit or Software Kit.